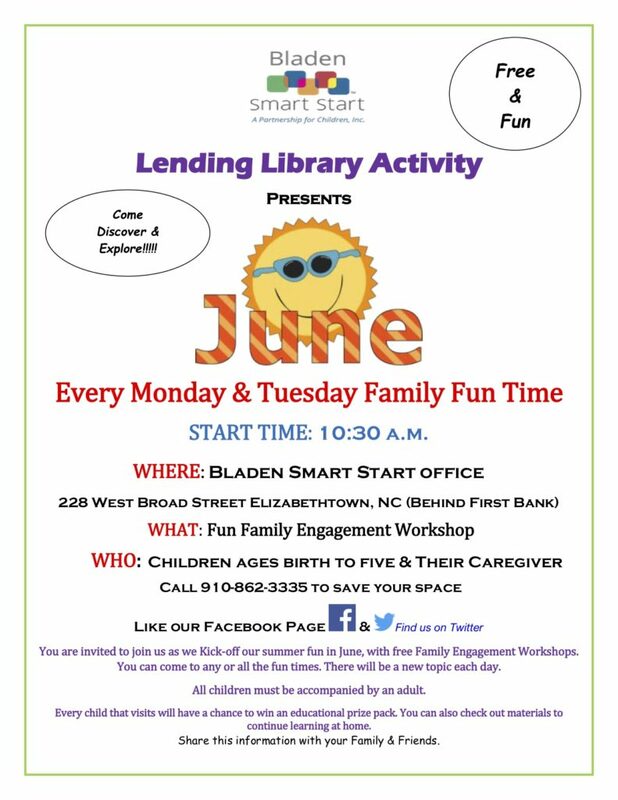 Bladen County Smart Start’s Lending Library presents Family Fun Time every Monday and Tuesday at 10:30 a.m. 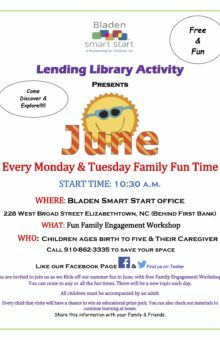 These fun and engaging family workshops will take place at the Bladen Smart Start Office located at 228 West Broad Street in Elizabethtown. 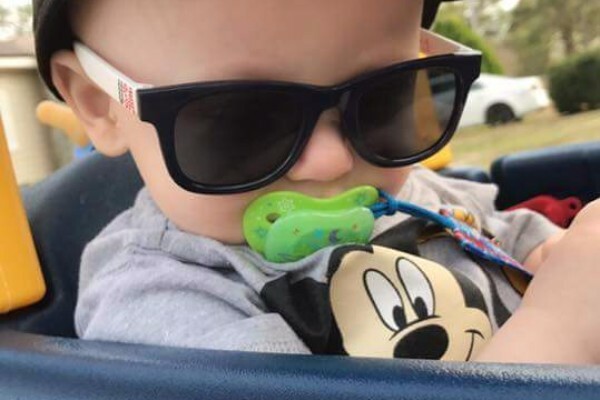 The Family Fun Time is open to children ages birth to five and their care givers. There will be a new topic each day and plenty of fun for everyone. Each child that visits has an opportunity to win an educational prize pack. For more information or to register your child for Family Fun Time, call 910-862-3335.